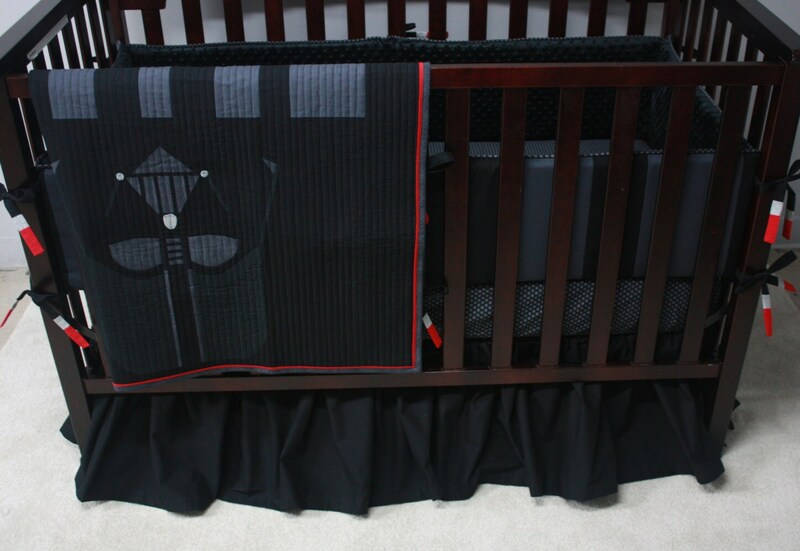 Star Wars Baby Bedding--Darth Vader--Custom Crib Bedding-READY TO SHIP!! Give in to the power of the DARK SIDE!!! 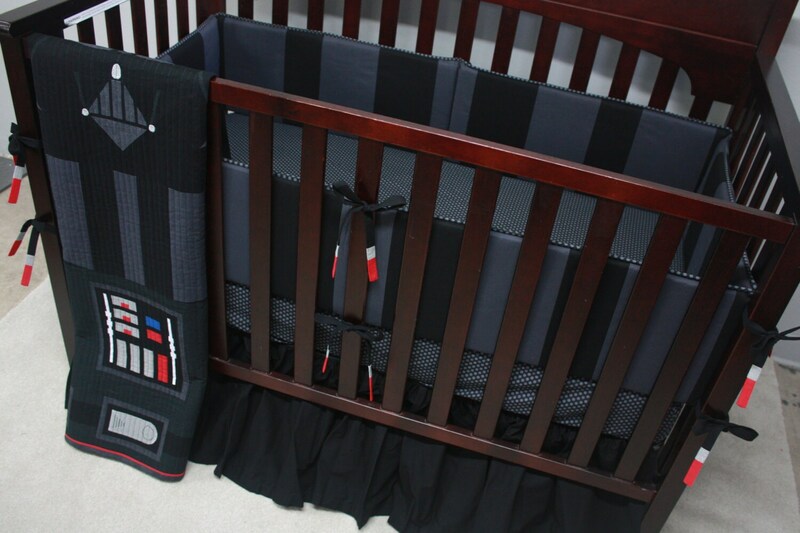 Search your feelings...You want this crib set. You know it to be true. 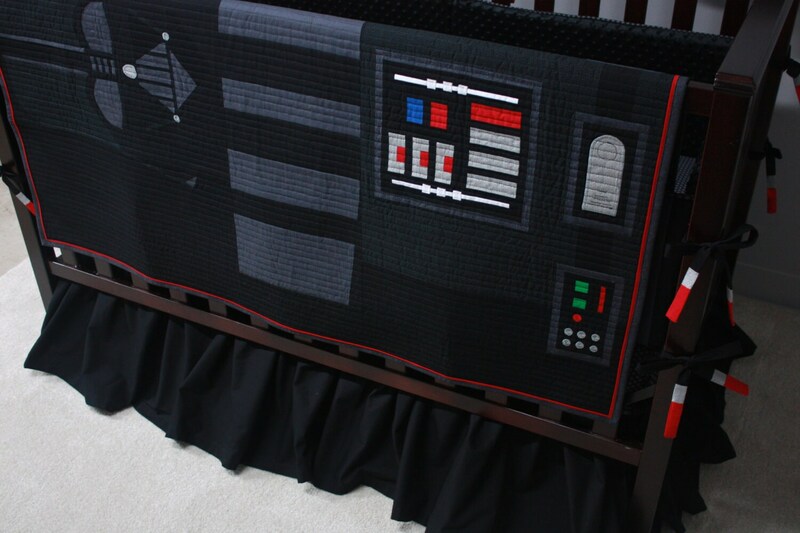 Buy me and together we can rule the nursery! 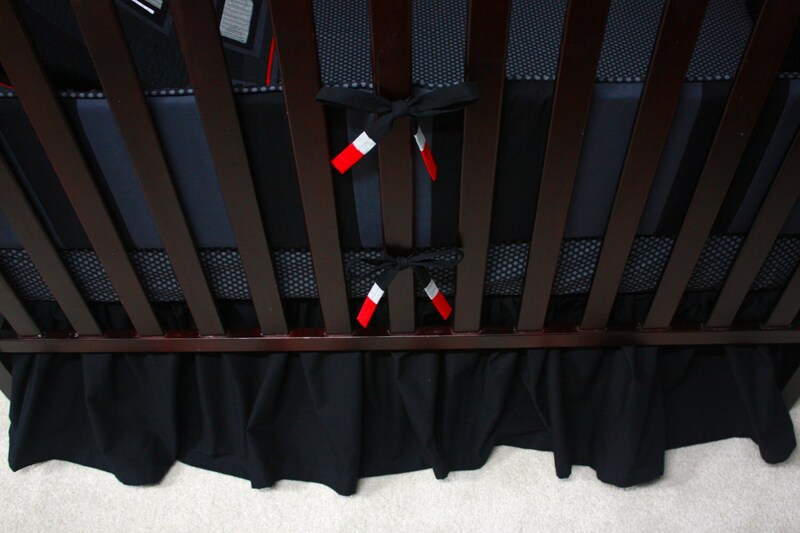 *Black Ruffled Cape Crib Skirt (50 1/2" x 26 1/2" with 14” drop and 4 slits. All materials are 100% cotton and prewashed in baby safe detergent.